"Change is constant. For some people, especially those who come from bigger companies, the constant change can be somewhat unsettling at first. We must all learn not only to not fear change, but to embrace it enthusiastically and, perhaps even more important, to encourage and drive it. We must always plan for and be prepared for constant change . . . Never accept or be too comfortable with the status quo, because the companies that get into trouble are historically the ones that aren't able to adapt to change and respond quickly enough." from the book, "Delivering Happiness"
The need to embrace change applies to all of us, in both our personal lives and at work. Over the years, the practice of law has seen enormous changes. The most successful lawyers are the ones who not only accept, but embrace, change. Our attorney, Gary Frank, remains on the "cutting-edge" of Family Law by staying up to date with the latest statutes passed by the Arizona Legislature, and by studying the new decisions handed down by the Supreme Court and Appellate Courts. He improves his knowledge of the law by attending continuing legal education courses on a regular basis throughout the year. And he hones his courtroom skills by using the very best litigation practices and strategies. Many law firms are locked into a particular office location that is often difficult or inconvenient for clients to visit. But modern advances in technology, such as networked computers, laptops, tablets, smart phones, and the internet, have allowed lawyers to become "road warriors" and provide top-notch representation while being more accessible to their clients. 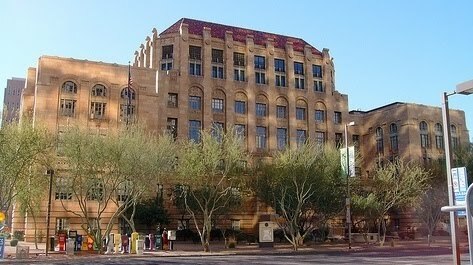 Therefore, the Law Offices of Gary J. Frank are conveniently located throughout the Valley -- in Scottsdale, Paradise Valley, Tempe, and the prestigious Biltmore area of Phoenix -- in order to better serve our clients. Yes, change is, indeed, constant; and our ability to embrace change has enabled us to be successful. But, just as importantly, our attorney, Gary Frank, is also known for embodying qualities that are timeless and enduring: Experience; Excellence; Integrity; Strong Advocacy; Common Sense; and and a Commitment to always putting his clients first. We are a modern law firm with old fashioned values. That's what sets us apart. Our attorney, Gary Frank, has been a courtroom litigator in the Family Law arena for over thirty years, and is a strong and committed advocate for his clients. In addition to being a litigation attorney, Mr. Frank has acted in the capacity of a Judge Pro Tem in the Maricopa County Superior Court. This has given him an understanding of the inner-workings of the court, and a unique perspective that most attorneys lack. He has also acted, for many years, as a professional mediator of Family Law disputes. We handle a full range of Family Law matters, including divorce, custody, spousal and child support, division of property and assets, modification and enforcement actions, as well paternity/maternity cases, grandparent or non-parent custody and visitation actions, and relocation/move-away cases. If you are in need of a consultation regarding any area of Family Law, please do not hesitate to give our office a call today at 602-383-3610; or feel free to contact us through our web site at www.garyfranklaw.com; or by email at gary.frank@azbar.org. We look forward to hearing from you.